Note of September 2016: A reader recognizes this as the house he grew up in; it's on Easy Street in Canaan, Maine. Very old photograph of a house identified on the reverse as the home at Canaan where Eva Williams was born. The person who sold the photograph to me indicated that Canaan was Canaan, Maine. The photograph shows a woman and child, perhaps Eva. 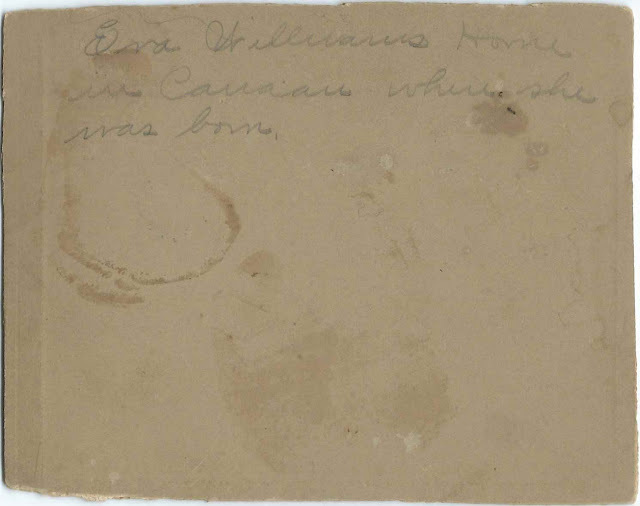 Although I can't confirm that the Canaan in the photograph is Canaan, Maine, it's intriguing that an Eva Hazel Williams was born at Canaan, Maine, on March 7, 1890, to Edwin Hutchinson Williams, a merchant and postmaster, and Addie Florence (Moore) Williams. Eva Hazel Williams married farmer Alton F. Rolfe at Skowhegan, Maine, on July 31, 1909. Alton was born February 14, 1887 at Canaan, Maine, son of Fred and Ella M. (Walker) Rolfe. Eva and Alton were living at Canaan, Maine, at the time of the 1910 Census, but later moved to nearby Skowhegan, Maine, where Alton worked as a painter in the automotive industry. I found records for two daughters, but there may have been more children. 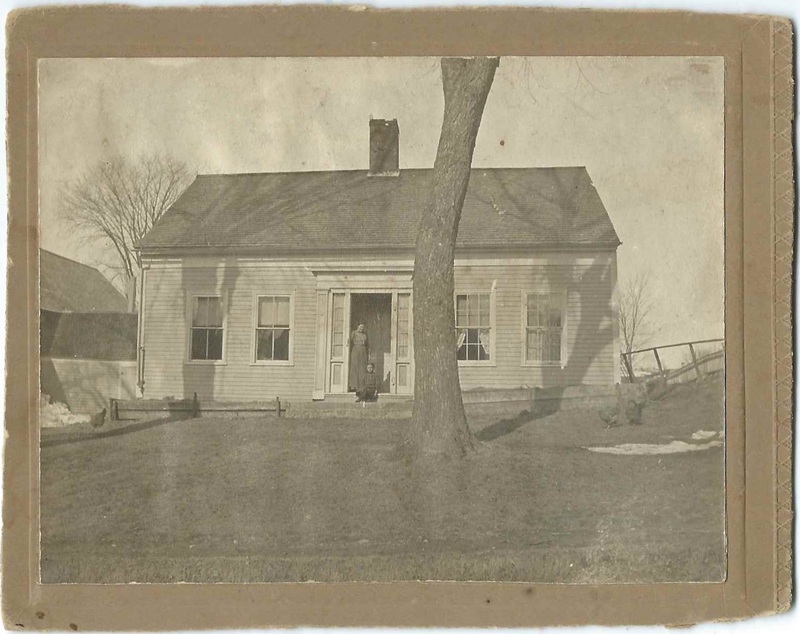 If you recognize the house in the photograph and can confirm that it is in Canaan, Maine, and, better yet, confirm that it was the home of Edwin Hutchinson Williams and Addie Florence (Moore) Williams, please leave a comment or contact me directly. This is the house I grew up in and it is on Easy St in Canaan. My brother owns it and lives there now.